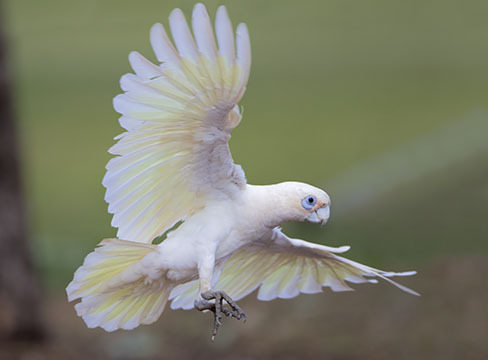 Australia has a wonderful array of parrots; many are colorful but there are several species of white cockatoos. 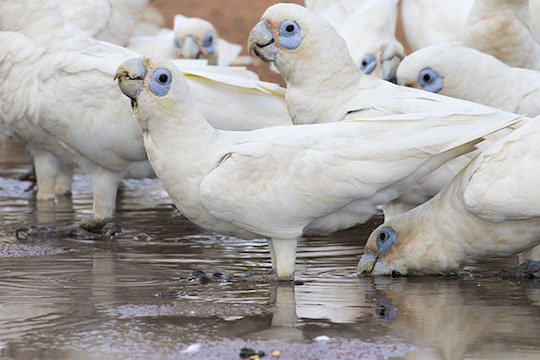 This is perhaps the commonest and most wildly-distributed. 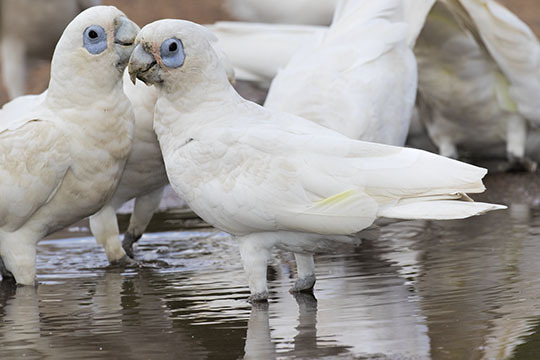 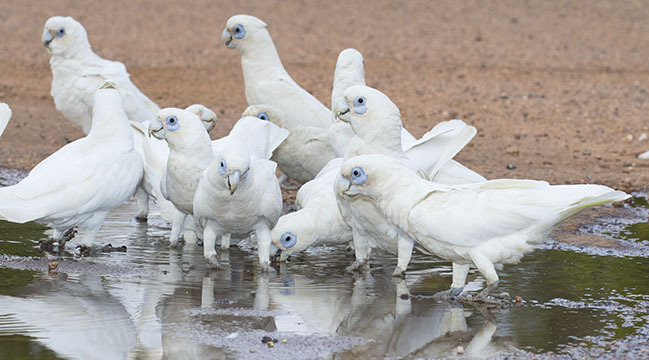 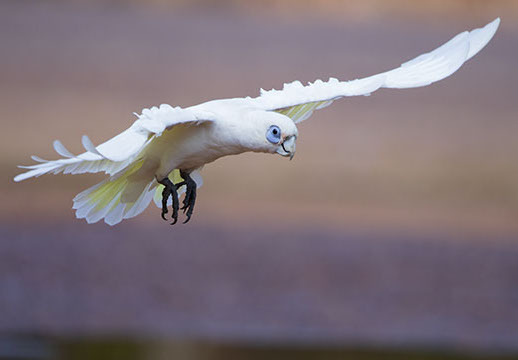 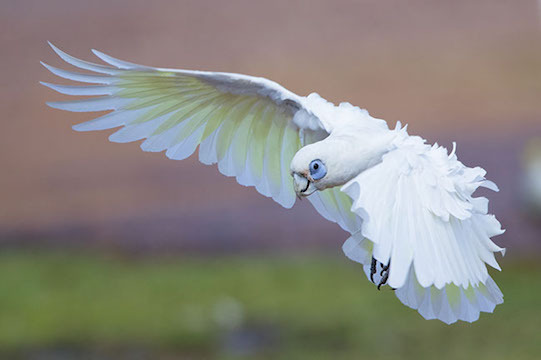 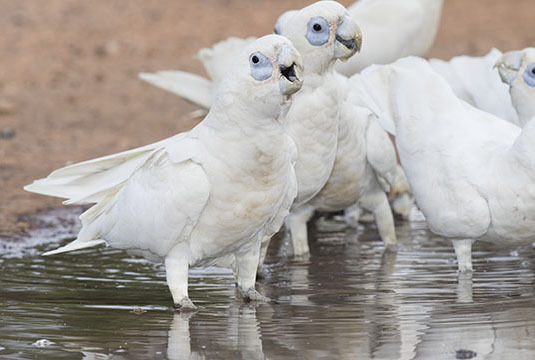 Like many parrots, little corellas are social and are usually found in large flocks. 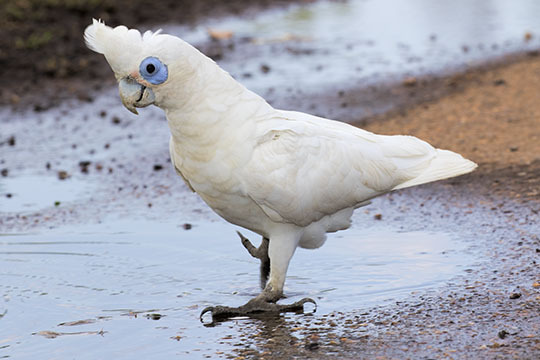 Also like many parrots they are quite vocal -- I think a large group of these makes about the noisiest bird call out there -- really deafening if you're close. 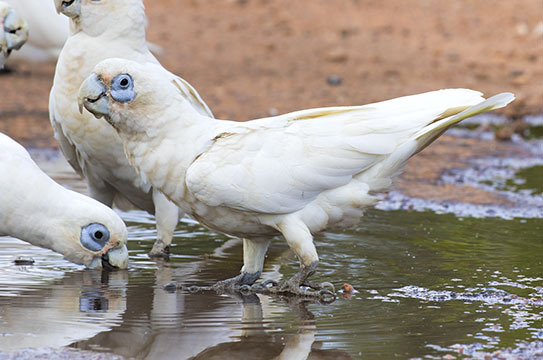 These were drinking from a small puddle in Kakadu Park in the Northern Territory.